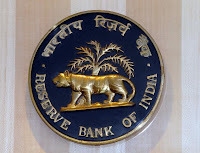 Indian Policy: RBI policy rates..
Dr. D. Subbarao yesterday in a press release announced the RBI’s monetary policy for 2011-12. This is an excerpt of the press release. The Annual Policy for 2011-12 is set in conditions significantly different from those a year ago. Last year’s policy was made in an environment of incipient domestic recovery and uncertainty about the state of the global economy. While signs of inflation were visible, they were driven primarily by food items. Throughout last year, the goal of monetary policy was to nurture the recovery in the face of persistent global uncertainty, while trying to contain the spill-over of supply side inflation. The Reserve Bank followed a policy of calibrated tightening last year. This was justified by the trend of moderating inflation and consolidating growth in the second and third quarters of 2010-11. However, the resurgence of inflation in the last quarter of last year became a matter of concern. Demand has been strong enough to allow significant pass-through of input price increases. Three factors have shaped the outlook and monetary strategy for 2011-12. First, global commodity prices, which have surged in recent months are, at best, likely to remain firm, and may well increase further over the course of the year. This suggests that higher inflation will persist, and may indeed get worse. Second, headline and core inflation have significantly overshot even the most pessimistic projections over the past few months. This raises concerns about inflation expectations becoming unhinged. The third factor, one countering the above forces, is the likely moderation in demand, which should help reduce pricing power and the extent of pass-through of commodity prices. Last July, the Reserve Bank constituted a Working Group to Review the Operating Procedure of Monetary Policy. The report of the Group, chaired by our Executive Director, Deepak Mohanty, was put out in the public domain in March 2011 inviting feedback and comments. First, the weighted average overnight call money rate will be the operating target of monetary policy of the Reserve Bank. Second, there will henceforth be only one independently varying policy rate, and that will be the repo rate. This transition to a single independently varying policy rate is expected to more accurately signal the monetary policy stance. Third, the reverse repo rate will continue to be operative, but it will be pegged at a fixed 100 basis points below the repo rate. Hence, the reverse repo rate will no longer be an independent variable. Fourth, we will be instituting a new Marginal Standing Facility (MSF). Banks can borrow overnight from the MSF up to one per cent of their respective net demand and time liabilities or NDTL. The rate of interest on amounts accessed from this facility will be 100 basis points above the repo rate. As per the above scheme, the revised corridor will have a fixed width of 200 basis points. The repo rate will be in the middle. The reverse repo rate will be 100 basis points below it, and the MSF rate 100 basis points above it. These changes in the operating framework, except that pertaining to the MSF, will come into force immediately. The MSF will come into effect from the fortnight beginning 7th May, 2011. The repo rate under the liquidity adjustment facility (LAF) has been increased by 50 basis points. Accordingly, it goes up from 6.75 per cent to 7.25 per cent. As per the new operating procedure, the reverse repo rate under the LAF, determined with a 100 basis point spread below the repo rate, will stand adjusted at 6.25 per cent. The Marginal Standing Facility (MSF) rate, determined with a spread of 100 basis points above the repo rate, gets calibrated at 8.25 per cent. The Bank Rate remains at 6.0 per cent. The cash reserve ratio (CRR) remains unchanged at 6 per cent of NDTL of scheduled banks. Pending a final decision on that, it has been decided to increase the savings bank deposit interest rate from the present 3.5 per cent to 4.0 per cent with immediate effect.